IPS Correspondent Stella Paul interviews DR ARTURO CUNANAN, one of the world’s leading experts on leprosy and Medical Centre Chief of Culion Sanitarium and General Hospital in the Philippines. 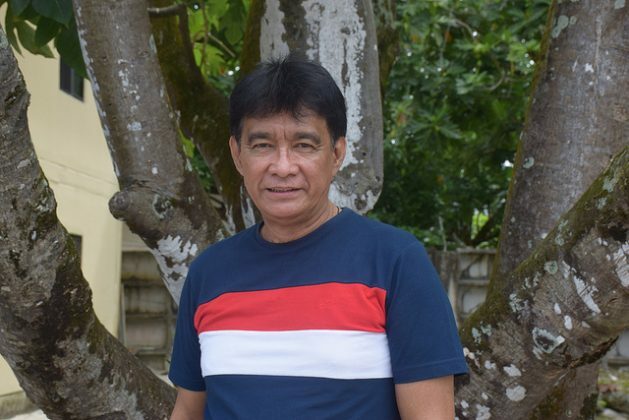 MAJURO, Mar 25 2019 (IPS) – His multiple awards and degrees aside, Dr. Arturo Cunanan is known as a people’s doctor; one who has profound belief in the human rights of every person affected by Hansen’s disease, commonly known as leprosy. Considered one of the most experienced experts on the disease in the world today, Cunanan is currently the Medical Centre Chief of Culion Sanitarium and General Hospital in the Philippines. He is the first director of the hospital who is a direct descendant of people affected by Hansen’s disease who were isolated and segregated in Culion. The island of Culion, where the hospital is based, was originally set up as a leper colony at the turn of the 20th century, with the hospital been founded to solely treat patients with Hansen’s disease. However, from 1994, the Culion Sanitarium and General Hospital began general hospital services. Currently in the Marshall Islands, in the northern Pacific, to review the national leprosy programme for the atoll nation, Cunanan tells IPS about the importance of viewing leprosy as an ordinary disease and how the failure to do so leads to continuous stigma. “Integration of leprosy in the mainstream is important and it is also important to see that leprosy is treated as an ordinary disease and not as a special disease. Leprosy then becomes an ordinary disease. But if you treat leprosy as a special disease, then those with leprosy can become more stigmatised. People who have leprosy, can live a normal life. This is the message,” he tells IPS. Recipient of several national and international awards, including the 2015 Gandhi Peace Prize, Cunanan earned his Masters in Public Health and Hospital Administration at the University of the Philippines and a Doctorate (PhD) in Health Systems and Policy at the National Institute of Health, University of Leeds as an International Ford Foundation Scholar. He is also a consultant with the World Health Organisation and has provided his leadership in reviewing the National Leprosy programmes across the Micronesia region. Cunanan is also the implementer of Sasakawa Memorial Health Foundation/Nippon Foundation’s projects in Culion and the Philippines that are related to leprosy and human rights, preservation of leprosy history, and various socio-economic projects that improve quality of life of people affected by leprosy and their families. Inter Press Service (IPS): Can you elaborate on how treating leprosy as a special disease leads to more stigmatisation and violates the rights of a person affected by it? Arturo Cunanan (AC): Leprosy is one of the oldest known diseases in human history. It’s a biblical disease; there are instances of Jesus meeting men suffering from leprosy—men who were described as unclean and who became clean after Jesus touched them. The fear of leprosy and the social reaction to leprosy—both are are old. In modern times, we have seen governments bring in laws that were built on the rule of detection and segregation. All of this only alienated a leprosy-affected person further. But the truth of the day is: leprosy is curable. A person with leprosy can live a normal life. He can get treated—free of charge—for his disease. But, if we continue to treat leprosy as a special, extraordinary disease, it will perpetuate the alienation and it will also perpetuate the fear and stigma. IPS: What happens when a leprosy-affected person faces stigma? AC: First, they are socially, economically, and culturally isolated. People in their village, neighbourhood, society stop making contact with them and their families. But it ultimately violates their rights to respect and dignity. Let me give you an example. In Culion, we get visitors. Some of them ask me if they can visit some leprosy-affected people. I tell them, look around you—everyone here has been affected by leprosy. But they look around and they do not want to believe what they see: normal people, with a normal physical appearance. What these visitors are expecting to see is a person who has severe physical deformity, because in their minds, they [the visitors] have the image of a leprosy-affected person like that—a demonised image. So, I tell them, these are people, no matter how severely they are affected by the disease—they are people like you and me, they have a right to a life of respect and dignity. How would you feel if someone looked at you in shock and fear, maybe disgust and gasp? This is what stigma and isolation leads to—the total denial of dignity. IPS: How does this affect the treatment of leprosy? AC: There are several reasons why a person affected by leprosy doesn’t seek treatment and social stigma is one of them. The person is afraid that once he has been confirmed as a person who has leprosy, the reaction of society will be severe towards him and his family. They will not be included in any social or cultural events, nobody will visit them at their homes, and nobody will continue social relations with them. This will affect them economically also, they will not be employed like before. All of this discourages the person from going to the health centre and reporting his condition as he wants to avoid this social stigma. IPS: You often say that Leprosy treatment needs to be integrated into the general health service system. What does that mean? AC: This means that leprosy treatment can be made available at the local level. At every health centre, someone should be skilled enough to at least raise suspicion—if not fully detect—when he or she notices a possible case of leprosy. For example, a person visits the health centre with a visible patch on his or her body which maybe numb. If a staff member at the health center can suspect that this could be a leprosy case, he could share this with the person and refer this person to a more skilled health worker to another clinic that specialises on leprosy. This way, a detection, confirmation and treatment could then begin. But if the staff member is not capable of this, then he could simply give him an ointment for a skin rash and send him back home. Especially in the islands, where people live a simple life, in close contact with the sun, sand and salt water, small skin marks like a patch would not usually make a person suspicious of his body or make him go to a leprosy clinic straightaway. But if even one person at the health centre can think that this might be leprosy, it could be a big help. The third point is, even when the treatment begins, the person affected by leprosy may not take his medicines regularly or may not monitor his health conditions such as a sign of reactions etc on a regular basic and this could affect him adversely. But, if the staff at his local health center can communicate with him that he must report back if there is a reaction, he will do so. So, it is key to have leprosy treatment integrated in the general health service, so there are skilled workers at every level of the health system.